On/off, PID, microprocessor based, Fuzzy Logic; the evolutionary changes of controls. 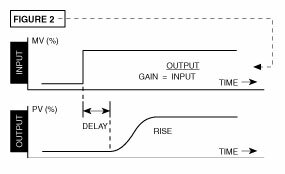 This brief paper outlines some background of standard PID control and how the implementation of Fuzzy Logic can improve your single feedback control systems. Fuzzy Logic is a particular area of concentration in the study of Artificial Intelligence and is based on the value of that information which is neither definitely true nor false. The information which humans use in their everyday lives to base intuitive decisions and apply general rules of thumb can and should be applied to those control situations which demand them. Acquired knowledge can be a powerful weapon to combat the undesired effects of the system response. Control software utilizing fuzzy programs use a very flexible set of if-then rules. The solution is then applied to appropriate membership functions. Referring to figure 1, values which lie within the shaded area are called true beyond a shadow of a doubt. Those values which lie within the cross hatched area are called false beyond a shadow of a doubt. If all data falls to one side or the other of the overlap area, then Fuzzy Logic probably would be of little benefit. In most applications there are some points which lie in the common area. Information which lies within the common area has to be studied, stored, and used to quantify and to classify the data. This allows for smart manipulation of the data structure in order to make inference to a solution. Information which falls in that common area can be ranked, aged, and "best guess" made after evaluation of this "gray" information. Another benefit of Fuzzy Logic in a control system is to quantify the input signal in a sometimes "noisy" environment. This noise, which tends to corrupt the integrity of the actual signal, is dealt with through the common sense of the competent operator. Mathematically, the information must be judged and prepared for use in decision making. If an operator took the time to plot the process information on an X-Y coordinate system, the operator could visually apply a curve fit to the data and come up with a fairly accurate generic representation. Mathematically, fitting a curve of lower order would produce a fairly inaccurate representation. Therefore, a higher order curve fit would be appropriate to accommodate the noisy signal. Fuzzy Logic attempts to emulate what the human response would be and apply the most intelligent fit to the data. Currently there are many applications of Fuzzy Logic utilized by common household devices, products which most people are familiar with. 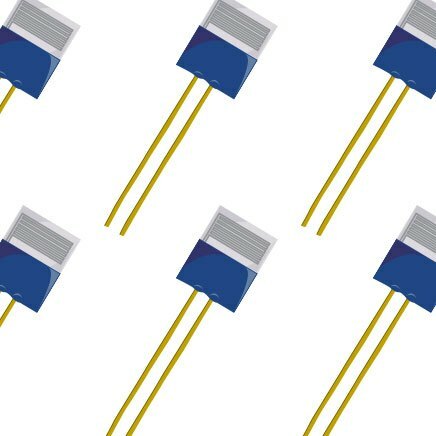 The benefit of Fuzzy Logic becomes transparent to the user of consumer devices since the Fuzzy Module or function is embedded within the product. The advantage of this approach takes the need for the operator to understand the theory of fuzzy operation away. Operation only requires the application of common knowledge to the standard parameters. A few products which have benefited from the implementation of Fuzzy Logic are: camcorders with automatic compensation for operator injected noise such as shaking and moving; elevators with decreased wait time, making intelligent floor decisions and minimizing travel and power consumption; anti lock braking systems with quick reacting independent wheel decisions based on current and acquired knowledge; television with automatic color, brightness, and acoustic control based on signal and environmental conditions; and finally, most importantly to this article, single loop temperature and process controls. Ziegler-Nichols control theory provides for PID (proportional, integral, and derivative) numbers which aid in the operation of controls. The development of the inexpensive microprocessor based PID control has replaced a majority of the thermostat (on/off) type devices. Most controllers that are microprocessor based have an autotune function which operates a system experiment as shown in figure 2. This experiment helps to determine the thermal characteristics of a particular system. In most cases, the method of autotune is to make a step input into the final control element and monitor the output. This produces a gain term directly related to proportional band. A delay time between the application of the step input and an observed response influences the derivative number. 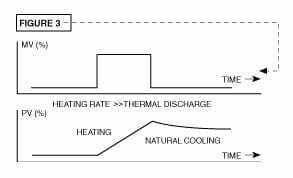 The rise time of the response to the step input produces a value to be used in integration.In some systems, the delay time to produce response is much different than the time to give up heat as shown in figure 3. This is common with many extruder applications making a Fuzzy Logic approach quite beneficial. If the response of the final control element as shown in figure 4 is nonlinear, for whatever reason, a linear response from proportioning action only would result in less than acceptable control. 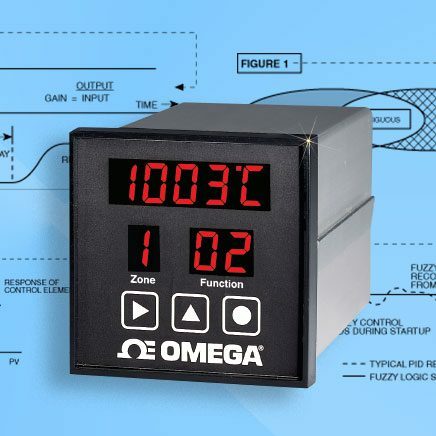 In addition, if the system tends to have changing thermal properties or some thermal irregularities, Fuzzy Logic control should offer a better alternative to the constant adjustment of PID parameters. Most Fuzzy Logic software begins building its information base during the autotune function. In fact, the majority of the information used in the early stages of system startup come from the autotune solutions. Until the 1990's, using computationally intensive Fuzzy Logic methods of control was not worth the cost to incorporate. As microprocessors become faster and memory becomes cheaper, the benefit to cost ratio has climbed significantly. 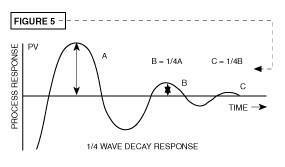 Looking at the typical response of a standard PID control strategy, shown in figure 5, the response curve demonstrates a quarter wave decay phenomenon. This method works adequately in the steady state. However, in real applications the overshoot and undershoot may sometimes be unacceptable. Methods derived prior to Fuzzy Logic involve setpoint adjustment to control this oscillation below a critical level. Ramp to setpoint was introduced into single loop controls to reduce the rate of ascent of the process variable in order to knock down the initial overshoot. Finally, slight detuning of the steady state PID parameters is commonly done to minimize the destructive oscillatory response. Fuzzy Logic can incorporate an intelligent response to deal with these situations. With a single feedback control architecture, some of the obvious information which is readily available to the algorithms is; the error signal, the difference between Fuzzy Logic, the process variable and the setpoint variable; change in error from previous cycles to the current cycle; changes to the setpoint variable; change of the manipulated variable from cycle to cycle; as well as the change in the process from past to present. Also available, in addition to the above, are the multiple combinations of the system response data. As long as the irregularity lies in that dimension which fuzzy decisions are being based or associated, the result should be enhanced performance. This enhanced performance should be demonstrated in both the transient and steady state response. The benefit of accumulating system information is the capability to predict a problem or upset developing rather than waiting until the unwanted situation is fully underway as seen in figure 6. A simple analogy to this type of action is to consult your medical expert immediately if you experience any symptoms of heart trouble such as shortness of breath, dizziness, or chest pain rather than waiting until you are experiencing myocardial infarction. Early preventative care just makes good sense. The same holds true for control theory. 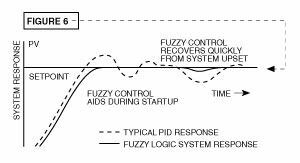 Fuzzy Logic should offer more intelligent control now, when it is needed, rather than waiting until the problem has become catastrophic. There are many areas of Artificial Intelligence and much research is underway throughout the AI spectrum. The portion of AI which is termed "Fuzzy Logic" invoked in this article, is truly in its infancy. Research and development into "Fuzzy Controls" continues. There are many new and revamped products being introduced every day that incorporate this new technology, Fuzzy Logic. This Engineer is excited with the solutions offered by many control manufacturers to address your particular needs. 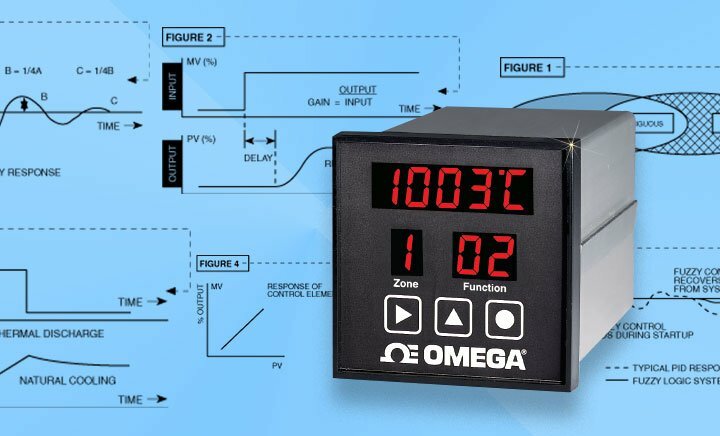 Those applications which were once thought of as impossible to control with a standard PID controller now have a new cost effective alternative. Controls incorporating Fuzzy Logic appear to be the most efficient solution to your difficult single loop control applications. The frugal must wait no longer. Truly, our machines are evolving into emulators of mankind. Douglas S. Dewey was born in Burlington, Vermont and received his BSEE from the University of Vermont in 1984. His list of collegiate honors include Student Chairman of IEEE, Dean's list, and membership in the Engineering Honor society, Tau Beta Pi. He worked for the Naval Underwater Systems Center where he was engaged in the development of advanced acoustic ranging systems for submarines. Currently Mr. Dewey is the Chief Engineer for Total Temperature Instrumentation, Incorporated. His current job description includes the development of specifications for control products using PID loops and advanced control technologies as manufactured by the Fuji Electric Company of Tokyo, Japan. Reproduced with permission of Total Temperature Instrumentation, Inc.